Connie Norris led the prayer efforts for Alabama Supreme Court Chief Justice Roy Moore’s legal defense team during the high profile Ten Commandments Monument trial. 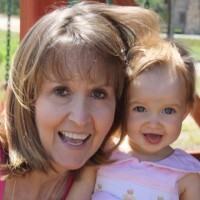 Her current mission is to mobilize mothers to pray, transforming homes into powerful centers of global influence. She and her husband, Tim, have been married thirty-two years. Their oldest princess is married to the perfect answer to twenty-one years of prayer. Matthew and Kristina have four angels. Connie homeschooled their youngest princess, Melissa Ann. Please visit her at My Home, a House of Prayer for all Nations, http://www.myhomeahouseofprayerforallnations.com or Facebook at https://www.facebook.com/conniepn.